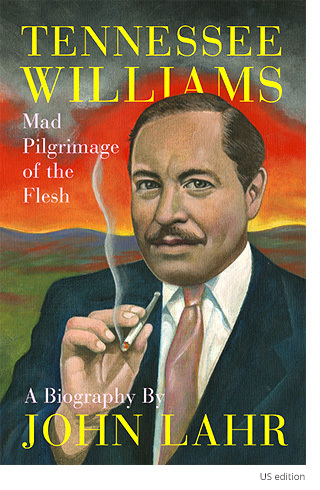 John Lahr’s Tennessee Williams: Mad Pilgrimage of the Flesh, follows Lahr’s other ground-breaking theatre biographies to give intimate access to the mind of one of the greatest American playwrights of the twentieth century. Williams’s work ushered in – as Arthur Miller declared – ‘a revolution’ in American theatre. Williams put his best self – and most of his life – into his plays: The Glass Menagerie, A Streetcar Named Desire, The Rose Tattoo, Cat on a Hot Tin Roof, Sweet Bird of Youth, The Night of the Iguana among many. The plays, later made into films, defined their times and also gave defining roles to many of the century’s greatest players: Marlon Brando as Stanley Kowalski in Street Car, Laurette Taylor as Amanda in The Glass Menagerie, Maureen Stapleton and Eli Wallach as Serafina and Alvaro in The Rose Tattoo, and Geraldine Page as the Princess in Sweet Bird of Youth. This brilliantly written, deeply researched biography sheds a light on Williams’s warring family, his lobotomized sister, his guilt, his plays, his turbulent homosexual life, his misreported death, even the shenanigans of his estate. John Lahr was recently awarded The National Arts Club Medal of Honour for Achievement in the Theatrical Arts, the first critic ever to win the award which has been given in the past to such luminaries as Tennessee Williams, Arthur Miller, Edward Albee, Lin Manuel-Miranda. Winner of the 2014 National Book Critics Circle Award for best biography, winner of the American Academy of Arts and Letters’ Harold D. Vursell Memorial Award for recognition of “the quality of prose style”. In the sensational saga of Williams’s rise and fall, Lahr captures not just the man’s tempestuous public existence but also his thrilling backstage life where the director Elia Kazan, his agent Audrey Wood, Marlon Brando, Anna Magnani, Bette Davis, Maureen Stapleton, Diana Barrymore, Tallulah Bankhead, Eli Wallach, and Laurette Taylor have scintillating walk-on parts. 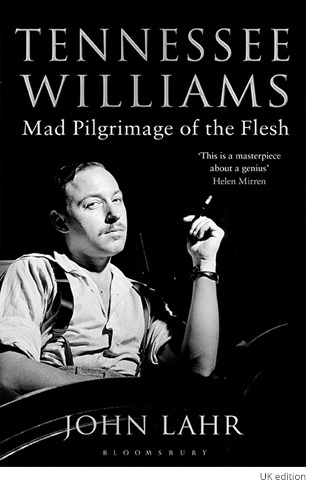 Tennessee Williams: Mad Pilgrimage of the Flesh is a biography of the highest order: a book about the major American playwright of his time written by the major American drama critic of his time. John Lahr’s most recent book JOY RIDE will feature many of his very best New Yorker profiles and reviews. Published by Norton (US) and Bloomsbury (UK). Joy Ride throws open the stage door and introduces readers to such makers of contemporary drama as Arthur Miller, Tony Kushner, Wallace Shawn, Harold Pinter, David Rabe, David Mamet, Mike Nichols, and August Wilson. Lahr takes us to the cabin in the woods that Arthur Miller built in order to write Death of a Salesman. …will be featured in the Early Bird Books daily deals newsletter on 17 December. The ebook will be downpriced to $2.99 across all US retailers on that day. Subscribe to EBB here to get a direct link to the deal on the day. 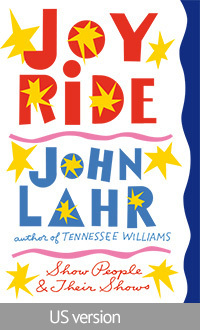 Among John Lahr’s twenty books are Notes On a Cowardly Lion: the Biography of Bert Lahr, Dame Edna Everage: Backstage with Barry Humphries (Roger Machell Prize), and Prick Up Your Ears: the Biography of Joe Orton (‘as good as literary biography gets’ – New York Times) which was made into a film. He has edited the diaries of Joe Orton and Kenneth Tynan. Since 1992, Lahr has been a regular contributor to The New Yorker where for twenty-one years he was the magazine’s Senior drama critic. He has twice won the George Jean Nathan Award for Dramatic Criticism and twice been included in volumes of Best American Essays. His stage adaptations have been performed around the world; he is the first critic ever to win a Tony Award for co-authoring the 2002 Elaine Stritch at Liberty. He lives in London.